Hello there! 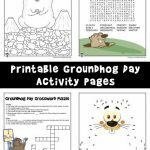 Groundhog’s Day is coming up soon, and it’s the perfect time to make this adorable Toilet Paper Roll Groundhog’s Day Craft! 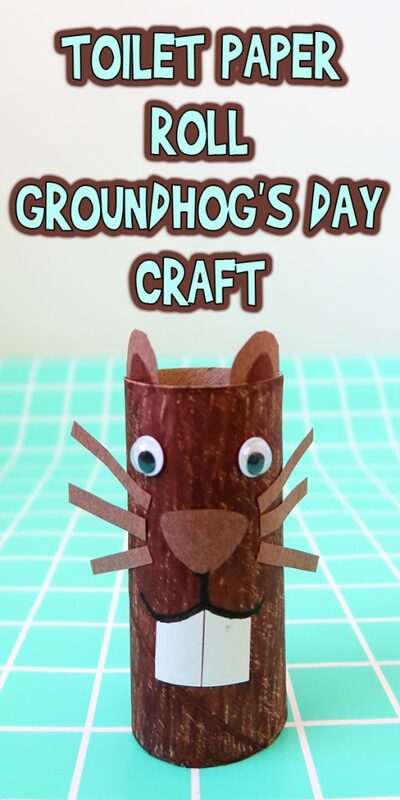 This cute little guy is easy to make, and a great decoration or prop to teach your kids all about Groundhog’s Day. Here’s what you’ll need! 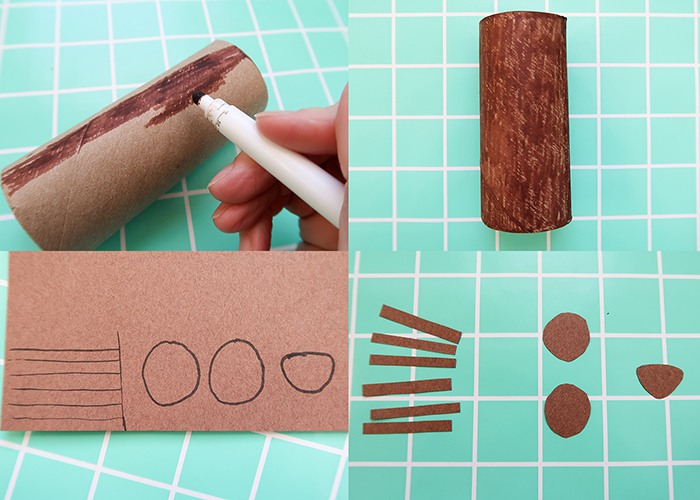 Start by coloring your toilet paper roll a deeper brown shade using your brown marker. The texture of the marker on the roll makes it look like fur. 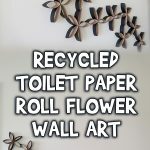 Next, grab your piece of brown construction paper. 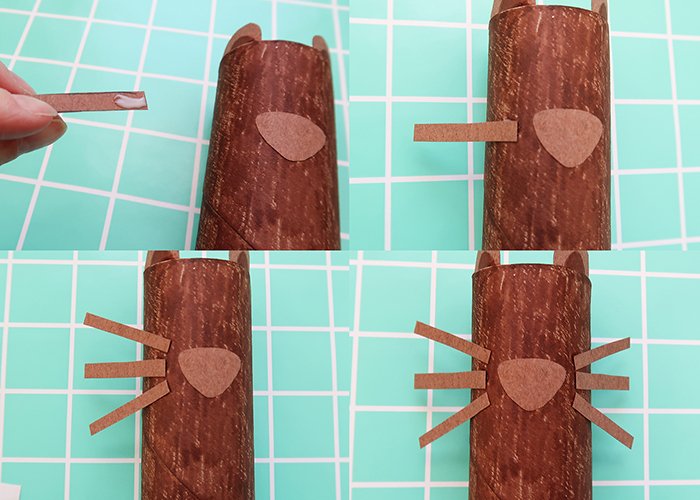 Draw 6 thin, long rectangles to make the whiskers. Next, draw two circles for the ears. 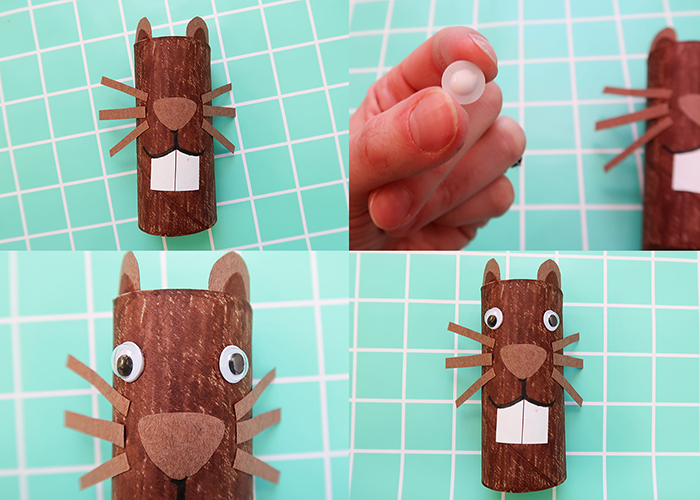 Don’t forget a rounded triangle shape for your groundhog’s nose. 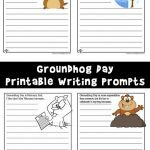 Try and make these close to what you think the right size would be, but the differences are what will make your groundhog special. Then carefully cut out all the pieces. On your ears, draw an upside down U shape, and color it in with your brown marker. This creates the darker inside of the ears. 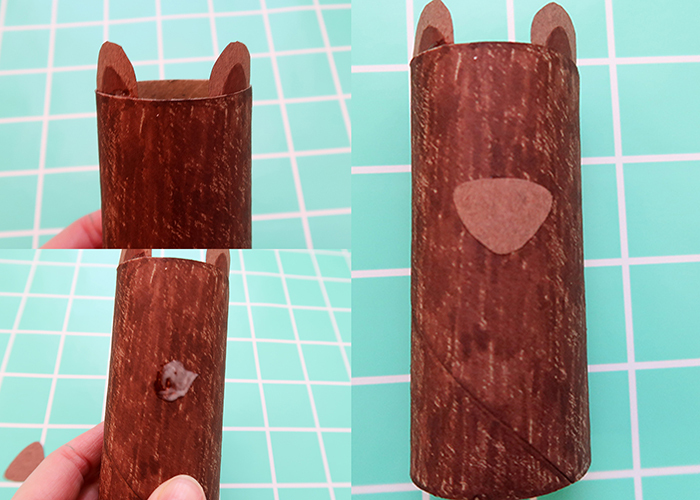 Place some glue on the lower 1/3rd of the ears, on the front side. 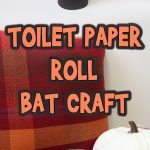 Then glue these to the inside of the toilet paper roll, so the tops of the ears peek out. See how cute? Next dab some glue on the front, just above halfway down and centered between the ears. Now stick on that little nose! 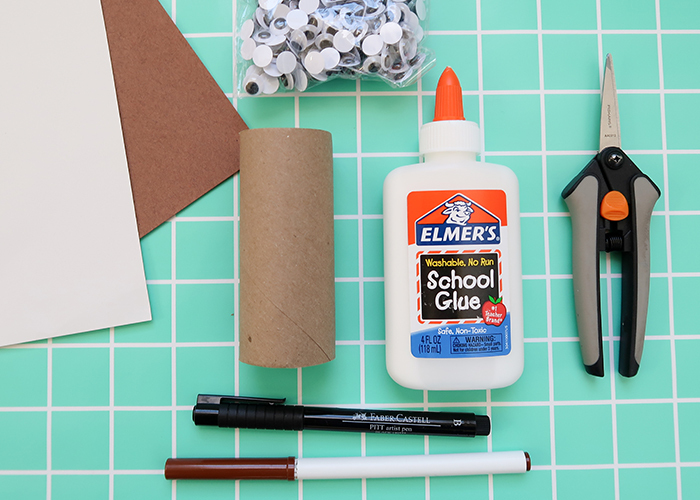 For the whiskers, we only want to put glue on the very end. That way they stick out from the groundhog’s face. So put a small dot of glue on the end of the whisker, and place it next to the nose. Then add the rest of the whiskers the same way. Now let’s make the teeth! 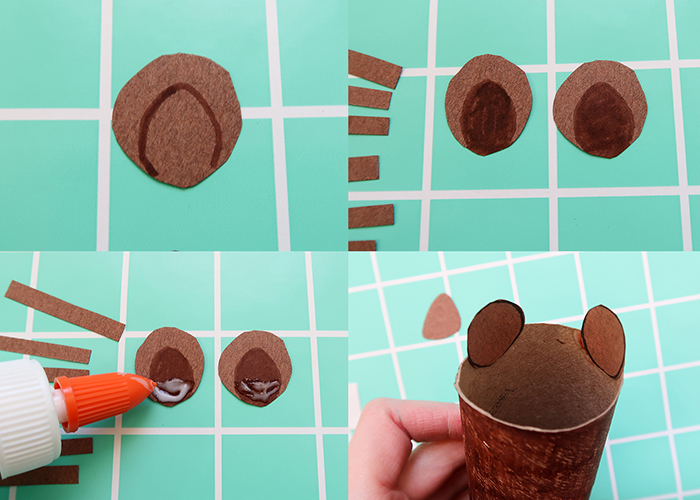 Cut out two rectangles from your white construction paper. 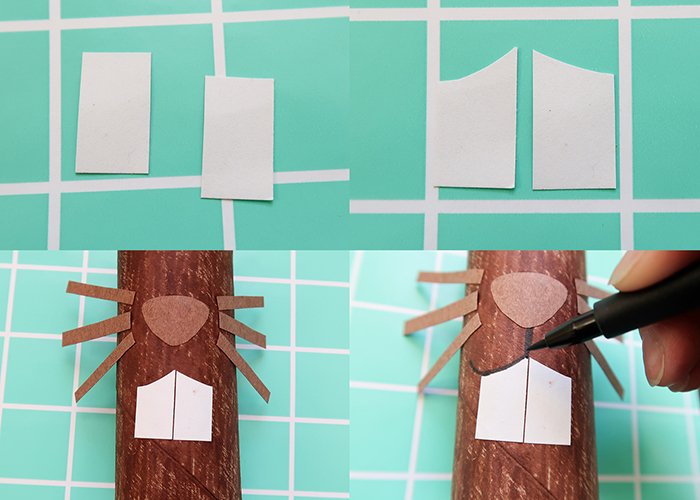 Then trim a little curve from the top corner of each rectangle like shown above. Then glue them both next to each other underneath the nose. Next, take your black marker. Draw a line from the nose to the top of the teeth. Then draw a curve on both sides, going along the curve of the teeth tops, to form a smile. Such a happy groundhog! 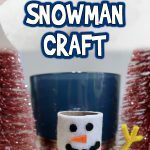 Now just place a drop of glue on the back of your googly eyes, and stick them in place. You’re all done! 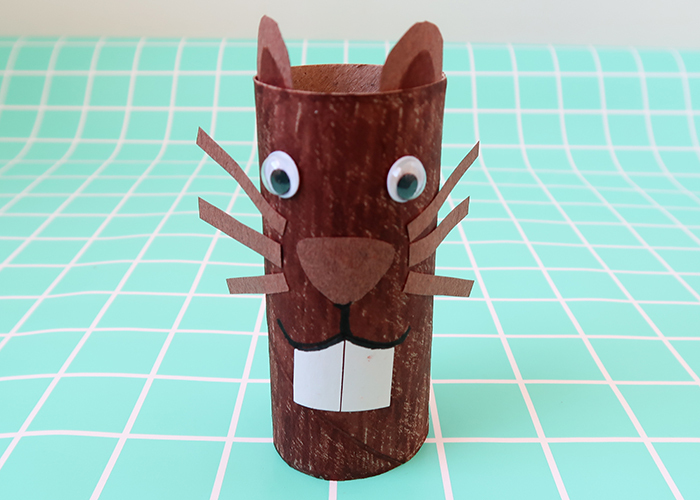 I hope you enjoyed making this Toilet Paper Roll Groundhog’s Day Craft with me! !